CBD is everywhere these days – in the news, in your tea, in your daily supplements. With the growing acceptance of cannabis, more and more people are curious about this cannabinoid and how it might benefit their lives. But how do those with little knowledge about or experience with marijuana navigate all the products, companies, and competing information out there? Shira Adler recognized that lack of clear information was a barrier to accessing CBD for many people. 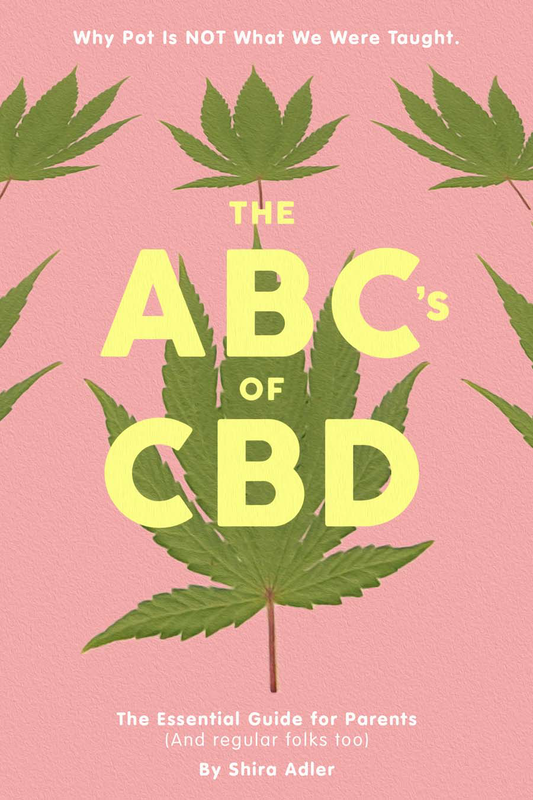 So she created a solution: The ABC’s of CBD: The Essential Guide for Parents (and regular folks too). This book, a digestible and easy-to-follow guide to integrating CBD into your daily life, makes the case that CBD can powerfully transform our health – if we can just get over the stigma of misguided cannabis policies. Covering topics from hemp history to conversations with kids, from the endocannabinoid system to the opiate crisis, The ABC’s of CBD gives the canna-curious all the information they’ll need to carefully wade into the world of cannabinoids. Splimm had the opportunity to hear from Shira about her background as a member of the clergy, her relationship with natural medicine, and how she brought her worlds together to advocate for and champion cannabis and CBD. Jenn Lauder: Where did the idea for the ABC’s of CBD come from? What inspired you to take on this particular topic? Shira Adler: I wrote my book as an invitation to the essential conversation so many parents are having today. I wanted a book to serve as a bridge for parents who are on the fringe… not the “pot fringe” but the mainstream looking to learn more — explore deeper — or just take a baby step towards CBD / cannabis on behalf of someone they love. 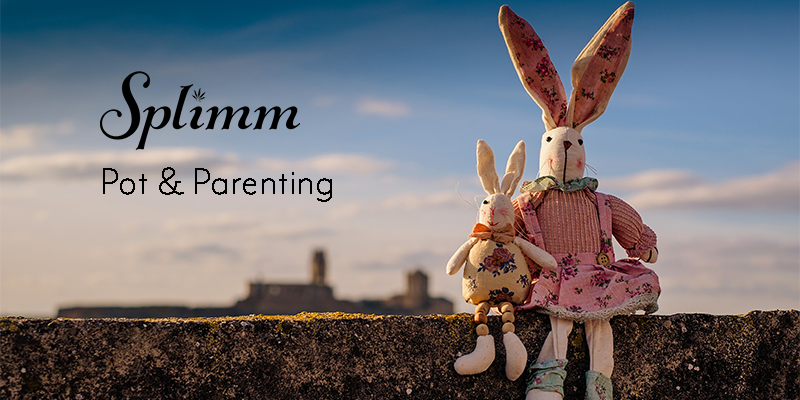 There are so many parents who are on the spectrum between being fear-based, stigma-stuck, or canna-curious. I know. I get it. I was one of them. That’s why my book’s tone is very much meant to be a soft, easy, and supportive entry point into the topic and covered such a wide gamut of information in a concise, easy-to-digest format. The purpose for writing it was simple. CBD (and all the elements around it) saved my kids. I live, breathe, ingest, and now share about it daily. I was passionate that I needed share this information with others. The book represents my canna-curious journey from being a formerly “anti-pot parent” to #ThePotMom. JL: How did your background and work outside of cannabis inform this creative project? SA: My background is very unique. For decades the primary focus of my work has been as Clergy (Cantor, and non-denominational Interfaith Minister), a spiritual counselor and healer (Certified Past Life Regressionist) and mainstream media-wellness personality. I’ve also been a writer in different formats, and come from a long line of female authors and poets in my family. In other words, I have a throat chakra with no off switch. I’ve had the honor of working with entire families in the most intimate, sacred, and social experiences of their lives. This background allows me to understand, relate, and communicate more deeply — with the hearts, minds, and souls of those with whom I come into conscious contact. JL: Why cannabis, for you? What made you decide to devote your career to this path? SA: When traditional medicine fails you, when you find that over time you, your parents, and children are still struggling in myriad ways… when it becomes glaringly obvious that we, as a society, have never been more overmedicated and underserved, you begin to ask the deeper “WHY’s”. That’s what happened with me and my kids. The answer for me, was to first explore any and all non-traditional (now more often called integrative, or even metaphysical) modalities. I then expanded my boutique health and wellness company that included my services as healer, spiritual counselor, and an aromatherapy blend line called Synergy Sprays (now under my company name: Shira Synergy). I had already taken a leap of faith that there had to be something better, safer, less side effect laden down that rabbit hole, before I discovered the efficacy of CBD — and cannabis as a whole plant and advocacy movement. JL: With more states moving toward cannabis legalization, why is education about CBD particularly important? SA: For those of us already “in it” — the movement, advocacy efforts — it seems so simple… hemp heals, cannabis cures. Say it over and over and the world will be convinced. Yet that’s not the case… not yet. The best entry point into this hemp/cannabis field is through relatable figures who can share real education, reliable anecdotes, and scientific proof (because let’s face it, a lot of folks still are far more comfortable trusting a “medical study” than anything else). Presenting this type of verifiable and trustworthy information and education will relax the fears, correct the staggering amount of misinformation and confusion, and eventually, shatter the stigma around what CBD is, and why it matters. I’ve always been “that funky spiritual soccer mom type” only now my soapbox is dedicated to CBD and all things cannabis and hemp related. JL: Have you managed to achieve mainstream market penetration with this book? Was that the goal/original intended audience? SA: I’m so honored and feel blessed that yes, I am making inroads into mainstream media. This is a big part of why I wrote the book — to reach those who need to be invited into THIS conversation and advocacy movement to protect the plant and heal the planet. I can’t tell you how many people reach out to me on a daily basis, whether through my social media, facebook group — The ABC’s of CBD — email, at events, in private sessions, etc. I feel a personal responsibility to reach “across the aisle” so to speak to those who are not yet comfortable, or maybe they don’t even know much at all yet, about CBD. I do have a bit of an unusual benefit to work from… an already long established reputation as Clergy, public speaker, writer turned author, and media personality. Believe it or not, what gives me credibility isn’t just that I know what I’m talking about, and clearly, authentically and with transparency, live everything that I share in my book. Ironically, it’s because a few years ago, a chunk of American parents met me and my family as I was the debut mom on Bravo’s Extreme Guide to Parenting. Because of that show, and all of my previous work in media (on and off camera, at live wellness events, in magazines, blogs, etc.) I’ve done a fair amount of media including Good Morning America, The Today Show, etc.) that I can now use to introduce a new subject… CBD. I’ve always been “that funky spiritual soccer mom type” only now my soapbox is dedicated to CBD and all things cannabis and hemp related. JL: How did you decide to write specifically to parents? Why is that a particularly important demographic to engage in these conversations? SA: There is no greater power in the world, in my humble opinion, than that of an activated, engaged, inspired, educated, and passionate “shopper mom.” We are the household decision makers, brand specific loyal (mostly) and caretakers of our entire families and communities. In other words, you show me a Mom who is scared, feeling desperate to find solutions for someone she loves, and I’ll show you a woman who can change the world. I strive to be such a person. I suspect most of us are and as a parent, I am here to support my sister goddesses, fellow parents, and the future generation of healers, caretakers, policy makers, and educators aka our kids, whom I call the “beyond the spectrum” generation — coincidentally the name of another in-progress title.